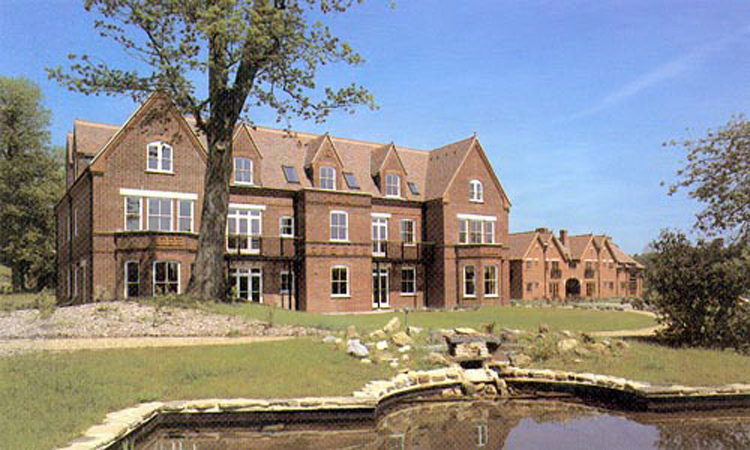 Victorian Enton Hall mansion, stable yards, cottages and coach house, dating from 1881 and totalling over 8000m², set in a Gertrude Jekyll/Harry Mangles landscape was restored and further developed to provide an exclusive and very private gated residential estate of apartments and cottages and including health and fitness centre with indoor pool and spa and flood lit tennis courts. The external fabric of the buildings was badly damaged by fire and vandalism, as a result of the building lying empty for many years. The entire external envelope of the buildings, especially the main manor house, was repaired, locally rebuilt and restored, in addition to some 4000m² of new buildings. The landscape was researched by the practice, as it had been severely damaged and changed since its completion in 1885. Original drawings were discovered during historic research by the practice and its restoration, from these records, formed the basis of the restoration and development programme. 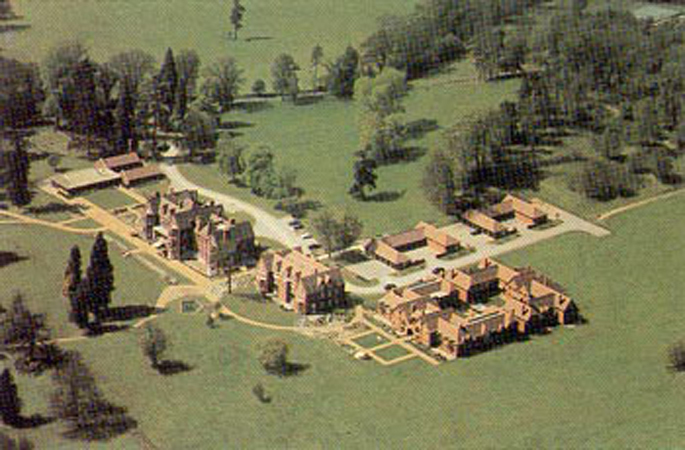 Set in 21 hectares of rolling parkland, in an Area of Special Landscape Value and in the Surrey Hills Area of Outstanding Natural Beauty, the setting for the buildings is exceptional and whilst there is a considerable amount of new build, replacing previous utilitarian accommodation, secondary to the main mansion, this has been set on the footprint of the demolished buildings. 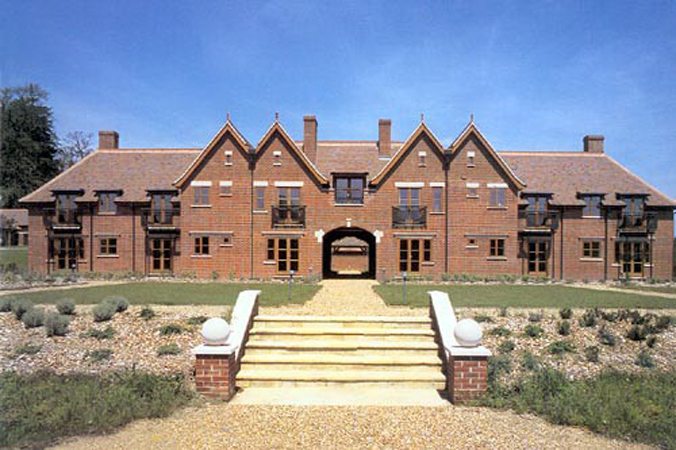 The old coach house and stables was replaced with a courtyard of 22 apartments and cottages and a three storey extension to the mansion was replaced with a detached three storey building comprising nine apartments. The construction and specification was to the highest standard, reflecting the quality of the now restored and converted mansion, with its ten apartments. Along with enhancements to the original Harry Mangles rhododendron lined walks, the practice also rebuilt a geometric rose garden originally installed by Gertrude Jekyll. The balance of the landscape was handled with matching sensitivity and quickly matured to complete a highly desirable and top quality residential location.